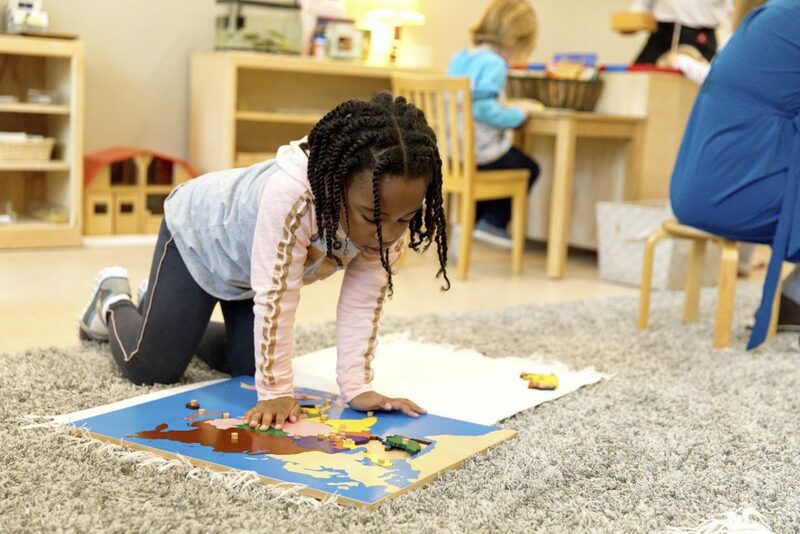 Follow the Child Montessori School was established in 2001 by six founding families and six teachers in an effort to build a school where teachers, administration, and parents are dedicated to the Montessori principles in their highest application. 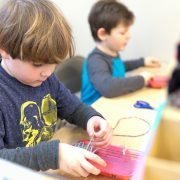 First, we are strong believers in adhering to the educational, social, and cultural principles of the Montessori Method. Second, we aren’t just a school; we are a community of students, teachers, parents, and administrators who all work together to support the growth of our students. Third, we have a unique Outdoor Education program. Elementary students participate in activities such as camping trips, “outdoor classroom”, exploration of the adopted stream behind our school, gardening, and more. Toddler and Children’s House students participate in gardening as well, and Children’s House Extended Day (Kindergarten equivalent) participates in an overnight campout. Fourth, our teachers are AMS- and/or AMI-certified and are dedicated to their students and parents. We pride ourselves in providing a supportive learning environment for our staff and we are committed to supporting their Professional Development through memberships, classes, trainings, and more. Please contact us if you’d like to schedule a tour of our beautiful campus! For an educational comparison between Montessori and Mainstream educations, click here.